Wake Up Call :: Show Information :: RabbitTV GO! By the time Dwayne "The Rock" Johnson was 23, he had multiple arrests, his family was evicted and his dreams of being a football player were shattered. He was living at home with no future, no direction and had $7 in his pocket. That's when he made a choice -- to challenge himself every day. And to turn himself around. The rest is history. And now Rock is returning to his roots, to help those who are struggling and to show them that there can be a better way. 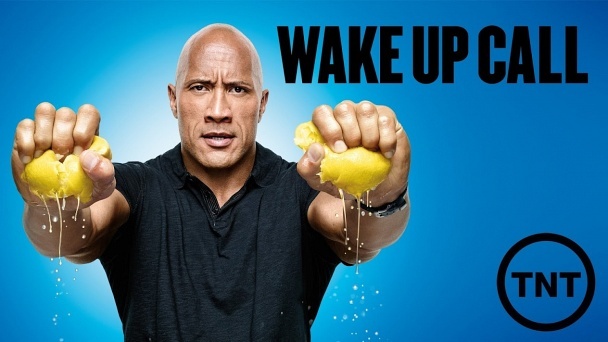 From dysfunctional homes and dead-beat dads to runaway teens and businesses struggling to survive, The Rock descends into the chaos of everyday problems to pull good people up by the bootstraps, reminding them what hard work, passion and true discipline can accomplish.